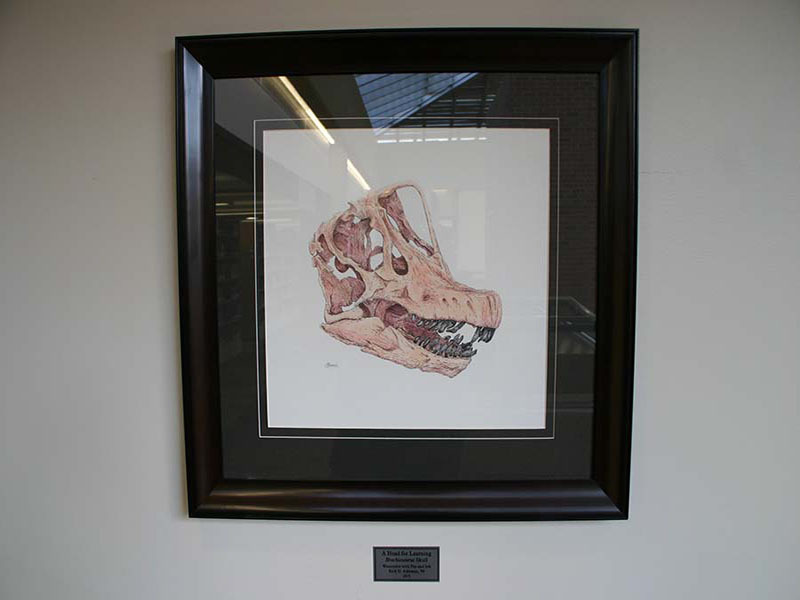 Library Art Collection | Colorado Mesa Univ. As a photographer, I am drawn to finding beauty and meaning in unexpected places and everyday objects. I love the narrative of degraded surfaces, texture, and color. I also have a love of street photography and the metaphors of everyday folks going about their day. 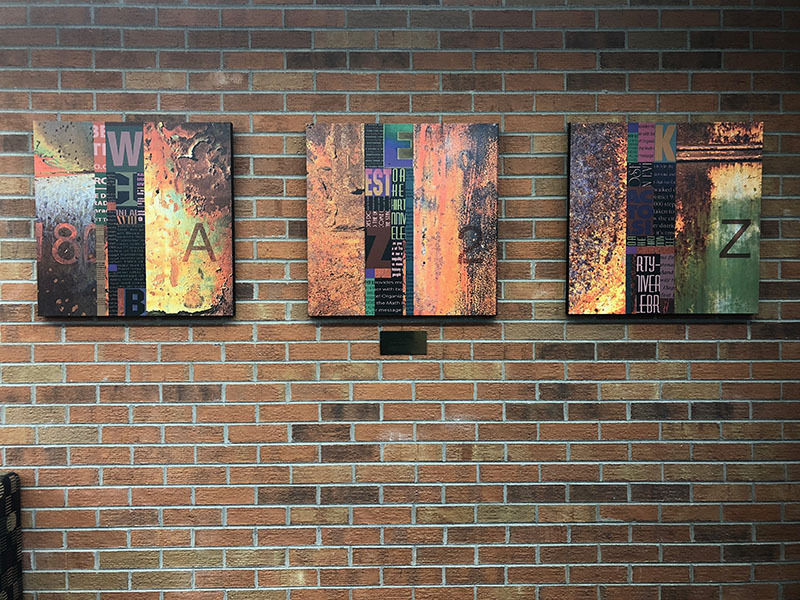 As a collage and found-object artist, I have been exploring the use of objects, texture, color, and degraded surfaces for some time. I love the "happy accidents" that happen when disparate objects come together in a way to create something new from something old or discarded. 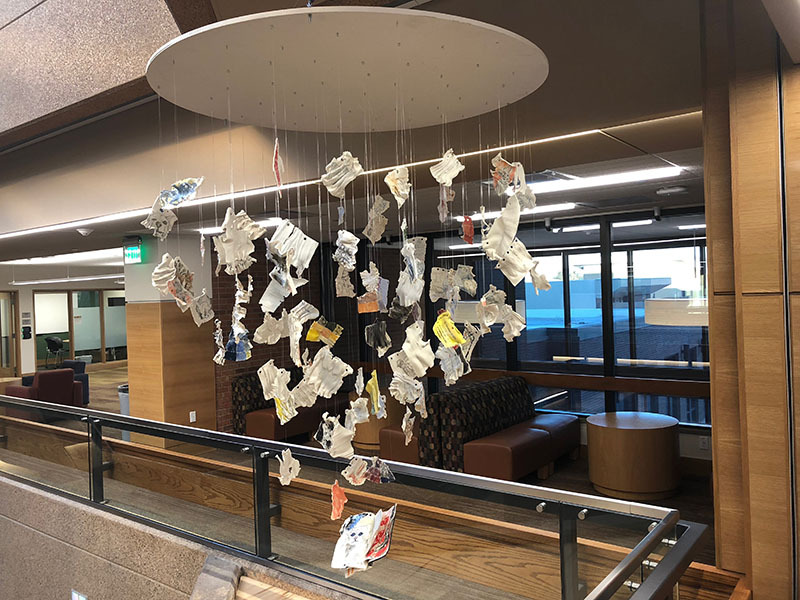 In addition to the artistic aspect of the work that I hope creates a narrative of age, surprise, and mystery, there is definitely satisfaction in using recycled and re-purposed materials. It's nice to know that these items find new life as part of a piece of art. 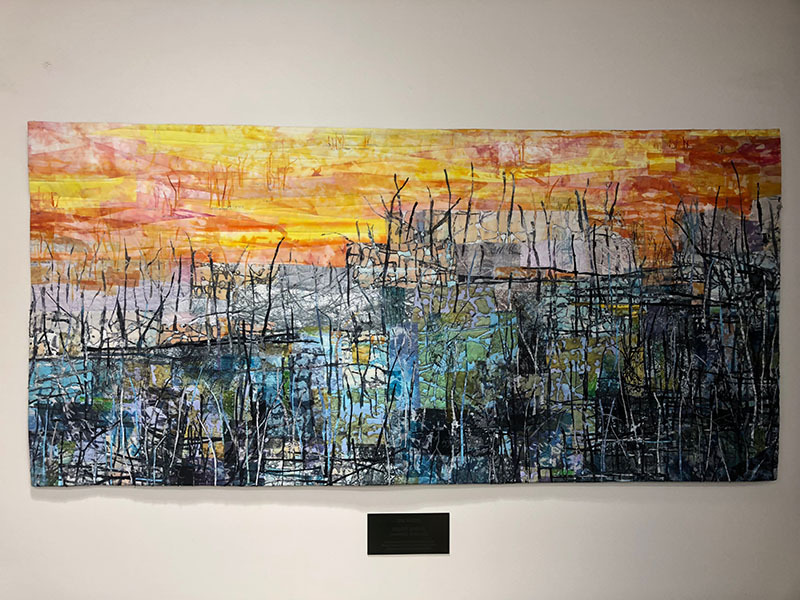 Starting with a simple composition, each painting is developed intuitively by the addition and subtraction of layers of paint, collage, and drawing. I first lay down a collage layer which is created rapidly and spontaneously. 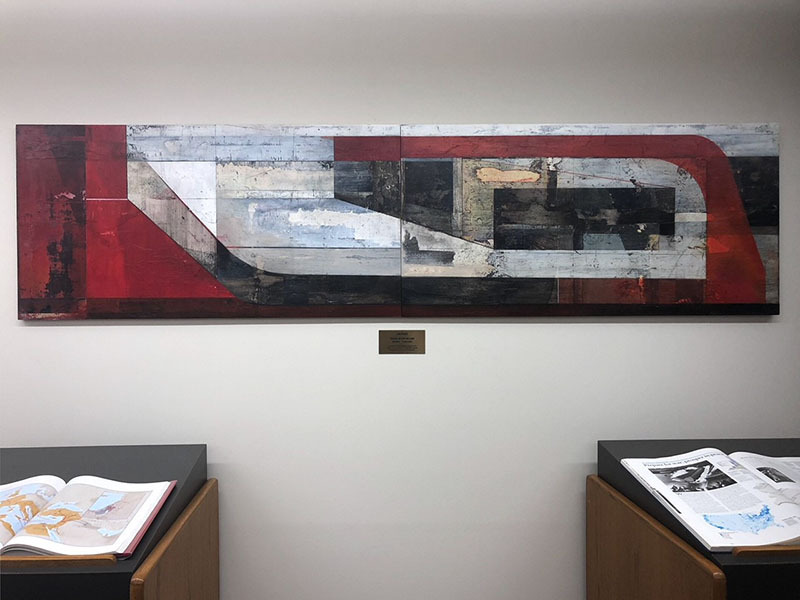 I meditate on the arrangement and rework elements, adding and removing paint until form, color, and line bring together multiple layers of visual information. Pencil line is added where linear clarification is needed. Positive and negative space are considered. What emerges and what stays hidden are both examined until intellect and emotion are satisfied. The compositions are formed completely through this careful and archaeological process and are not preconceived. The paintings are at once interior, diagram, landscape, architecture, still life, and abstraction. They are like little lives that grow, change, and evolve until finally achieving their own identity. This identity is a visual equation. Through my art, I want to leave our world a better place. I am an explorer who discovers patterns of shapes and colors--a translator of discoveries into paintings. My art comes from observing nature. It helps the viewer to better appreciate nature; nature keeps our planet functioning properly. My art takes the viewer to a new place in a new way and helps them to have a new experience--to see the world in a different way. 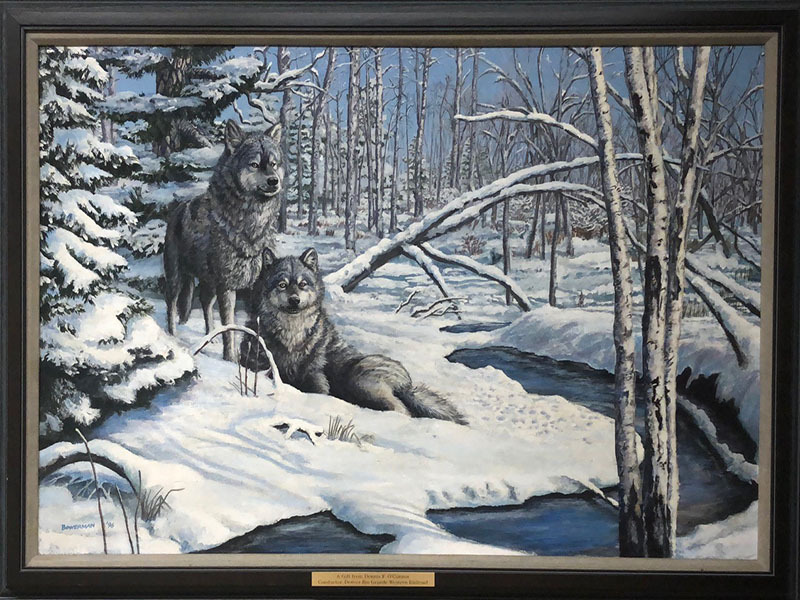 My paintings reflect my delight in and curiosity about our natural world. Art adds to our journey of life-long learning. Creative uses of interesting shapes, patterns, and colors fascinate us all and capture our attention. As our curiosity engages, education begins. Because this fascination with artful arrangements is so pervasive, our genes must have something to do with it. To appreciate the art in nature helps us to be more responsible stewards of our planet. Art is important, many say crucial, to being human. 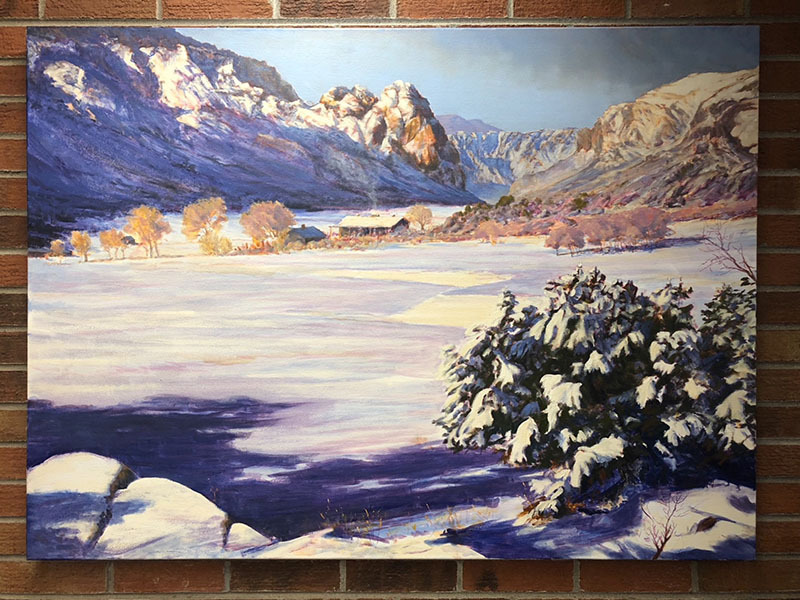 Lorenzo Chavez finds inspiration for his landscape paintings in the intoxicating, wide-open spaces of the American West. 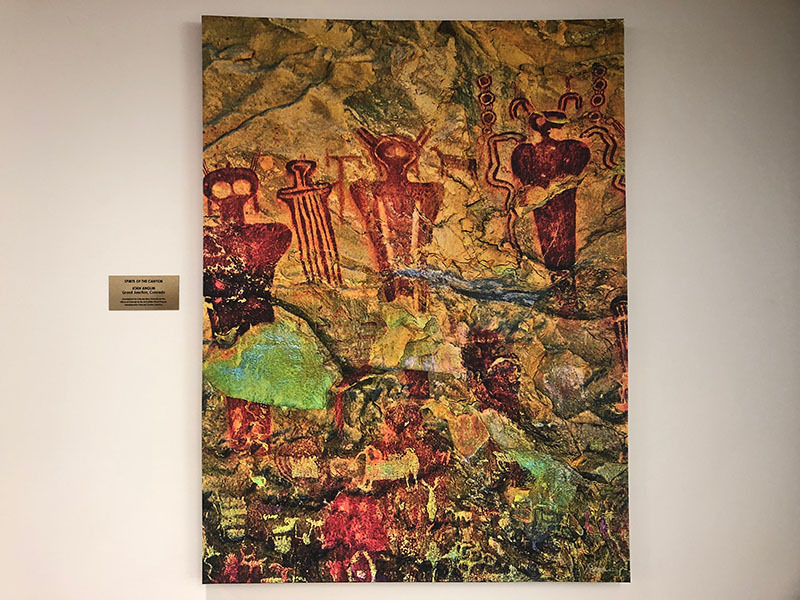 He feels at home in many parts of the West, from the Rocky Mountains of Colorado to the Pacific Northwest, from the southwestern deserts of Arizona and New Mexico to the West Coast. 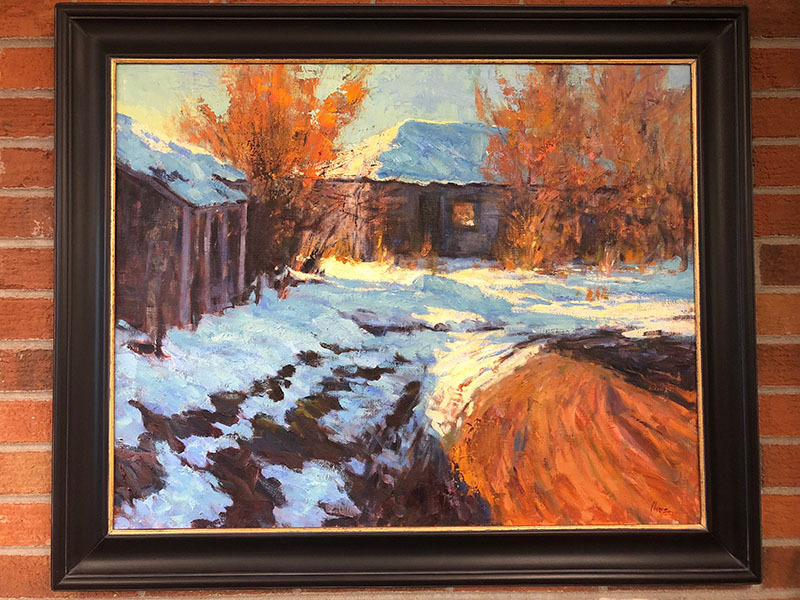 His pastel and oil paintings cover a wide range of subject matter in all seasons; he strives to capture the spirit and immense beauty of the Western United States. 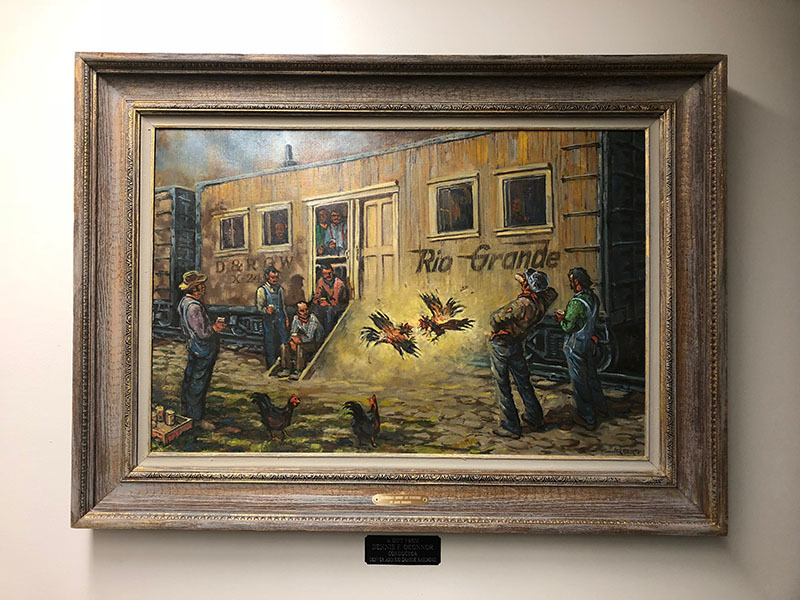 As a young boy, family trips throughout the scenic Southwest had a significant impact on Lorenzo's decision to pursue art. 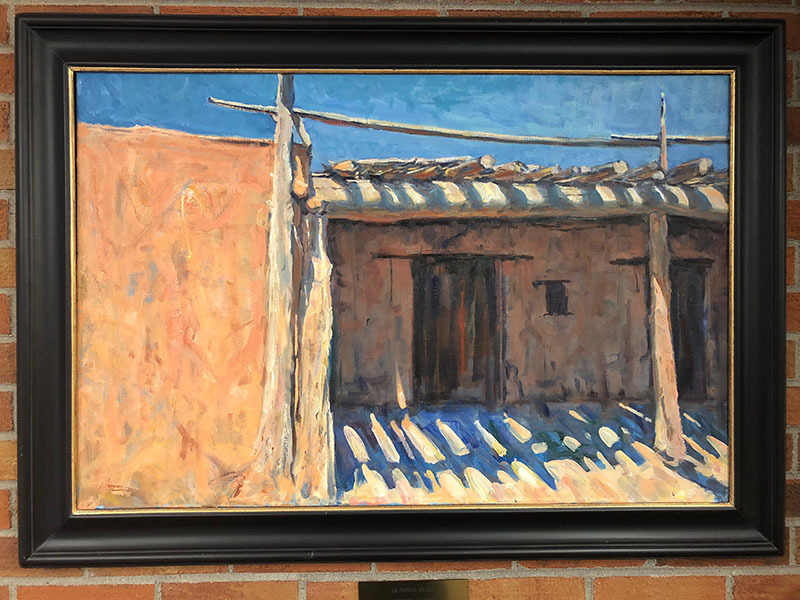 His first aspirations to become an artist were ignited by seeing the art of the Taos Society of Artists. Later, viewing and studying the landscape paintings of Maynard Dixon and the California impressionists, such as Edgar Payne and William Wendt, further fueled his desire to create art. Today, he continues to travel and paint in the hopes of expressing the wonder of the American landscape. 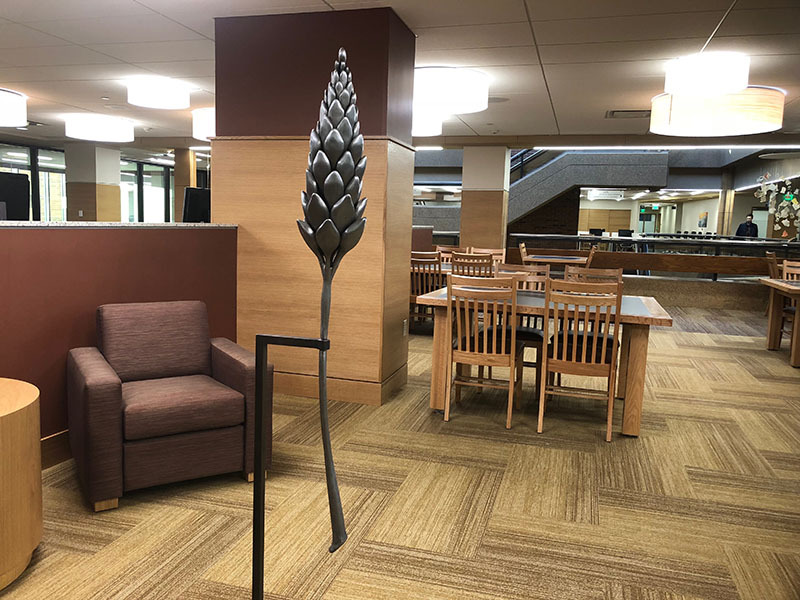 Providing sculpture within the library provides a platform for art to exist in our daily lives, allowing our day to have a moment of beauty without going out of our way. A serendipitous chance to contemplate, wonder or imagine--this concept is what interests me in this project. 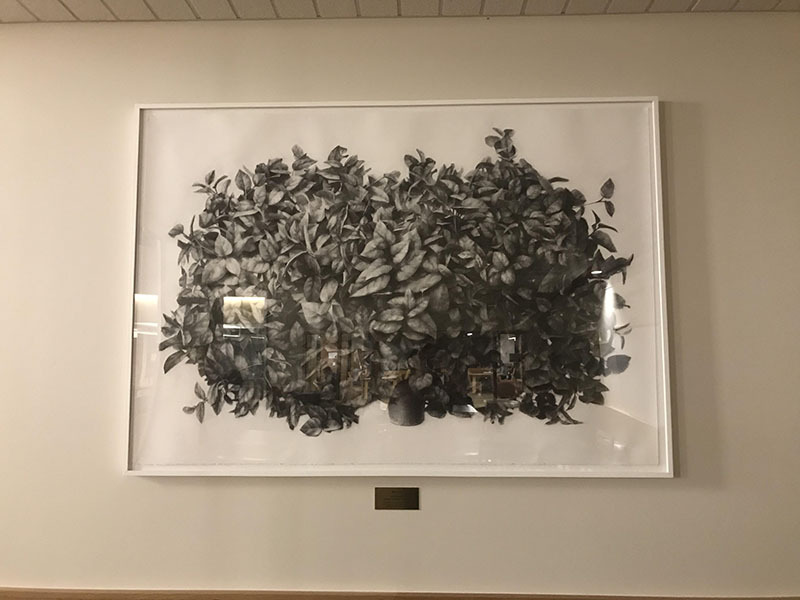 The work represents a study of form, inspired by how plants grow. Symmetry and balance are examined as the form magnifies tiny details found in nature, in the context of a scientific evaluation. I translate these examples of botanical gesture into forged steel, emulating their systems of growth. 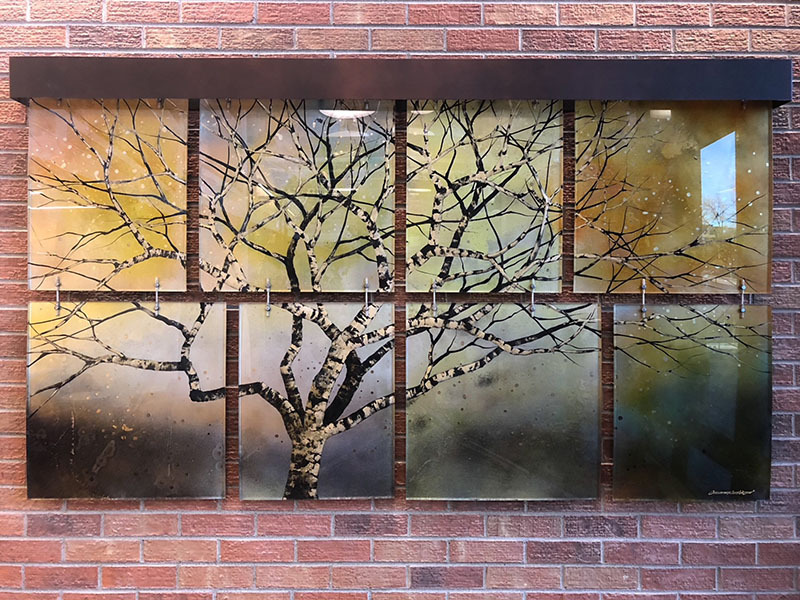 Creating an irony between material and its expectations, my work becomes a preservation of ephemeral forms that emphasize the beauty of detail found in nature. 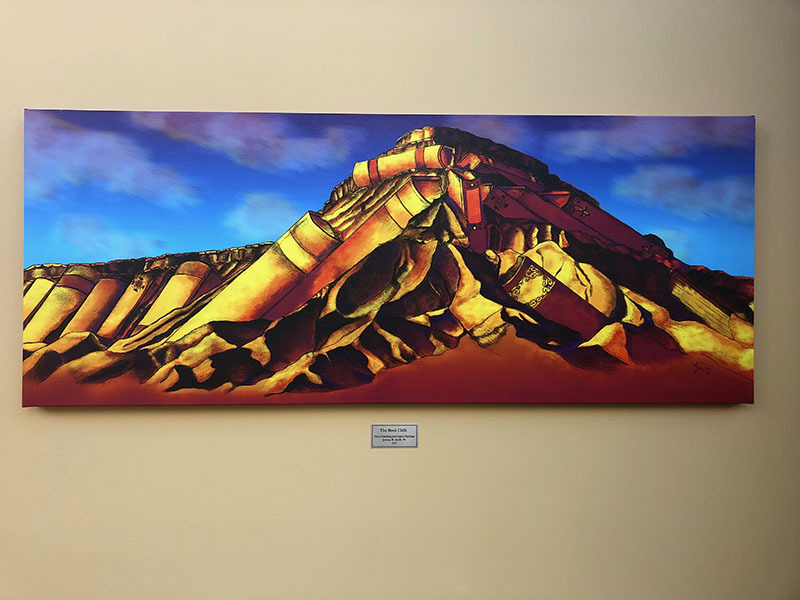 As an Assistant Professor at Colorado Mesa University, I think it is a great honor to have my work on display in the buildings on campus, and it gives me great pleasure to share what I do with my own community. Painting and drawing are my primary connection to the world; they are a ritual where I meditate on the space I inhabit and the objects that surround me. The structures of my everyday life become inspiration for exploration, and currently my houseplants are stoking my curiosity. The focus of each painting or drawing varies; some become more about the objects and some become more about the light, atmosphere, abstraction, or color. Working from a still life, in this case a plant, gives me time to spend with my subject so that I can get to a place where I do not see the objects as things, but as a constellation of shapes that make up a larger whole. Stopped at a light, I gaze at other people in their cars and think of the experiences that have brought this group to the same point. The cognitive ability to contemplate these moments of simultaneity that intersect individual experiences, environments, and objects is a wonderful feature of being human. The space between bodies and objects contains an unknown energy that pulses with the cognitive output of all living creatures. 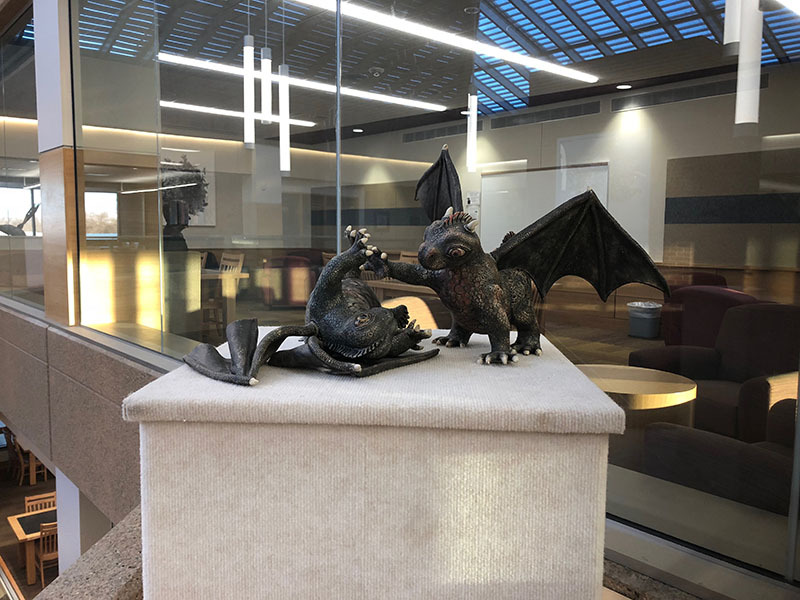 Sculpture calls attention to the movement of the viewer and the stillness of the object; a viewer observes, passes by, and later, reflects on their experience with a work of art. 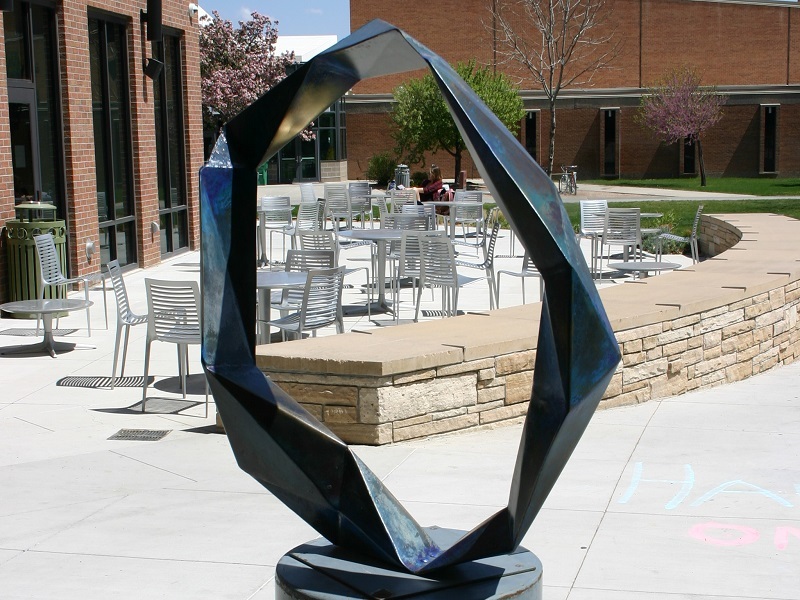 Recent works evoke contemplation on these unseen forces as they pass through the sculpture and surrounding spaces. I've specifically chosen to submit works that have been inspired by books or my love of reading. 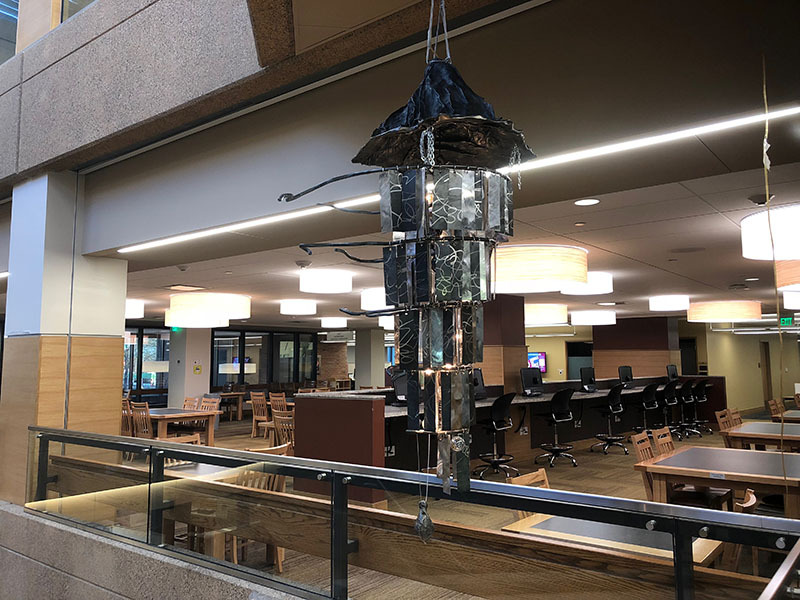 Libraries have been a safe haven, a source of inspiration and knowledge, and focal point throughout my life and career. 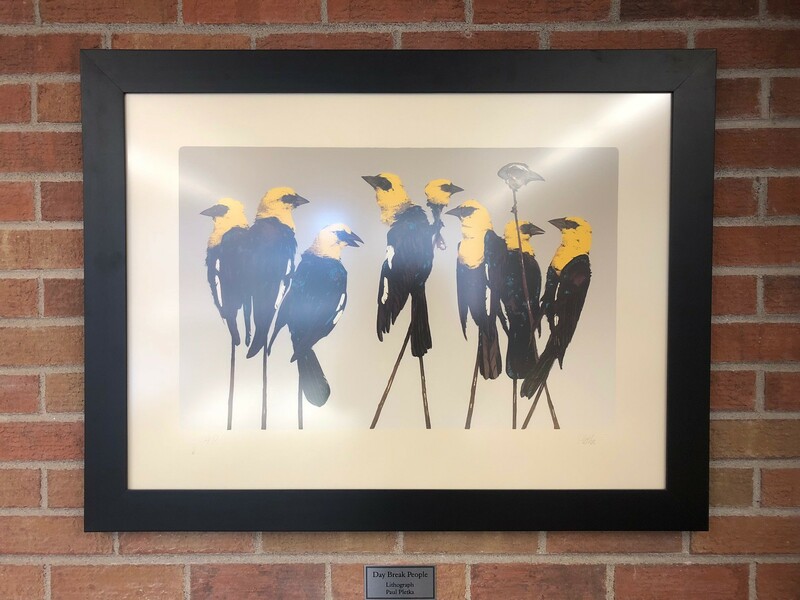 Art in public places has particular appeal for me because of the opportunities to inspire, connect, challenge, or engage broader audiences. I am especially drawn to details; whether they be specifications of a print order or elements in a photograph, they’re all important. My work offers a diversity of style, from grand landscapes, to the closer and more intimate view of the landscape, to the abstract. I try to project mood in my photographs, tranquility or excitement for example, using weather and light to shape the image. Since I am a photographer and people often ask, I should make a comment on camera gear. Cameras can’t imagine a nicely composed photograph by themselves, nor can they get out of bed on their own on a cold winter morning to capture a spectacular sunrise... so I like to believe that I have a special inspiration in creating distinctive photographs which transcend technology. I use cloth and thread to depict the natural world. I strive to capture the feel/mood/ambiance of a place by first experiencing it and then documenting it with my camera. What is this place about? What makes it unique and interesting? What will I remember most about being here? The most important thing I take home is a sense of place. The natural world holds all variations of mood and spirit from dramatic to serene, from grandiose to intimate. Mother Nature has mastered landscape art. My challenge is to learn to “see” her genius, to understand her artistry. I spend countless hours searching for those wonderful compositional jewels and discovering the fine art treasures in nature. Using my handcrafted fabrics, I convey the essence of what I see. My sculptures are an examination of industrial design and mankind’s attempt to alter nature’s landscape. Through the use of cylinders and other geometric shapes I transform the materials into skeletal form to explore themes in both manmade and natural landscapes. I use cube-like shapes to convey how landscapes, once made beautiful by nature, have since been altered by man into a sterile environment. Some of my sculptures have hard edges, as if to suggest they are new, while others have shapes and forms to imply that they are in a stage of decay. In doing this, I am able to allude to the various stages of manmade construction. 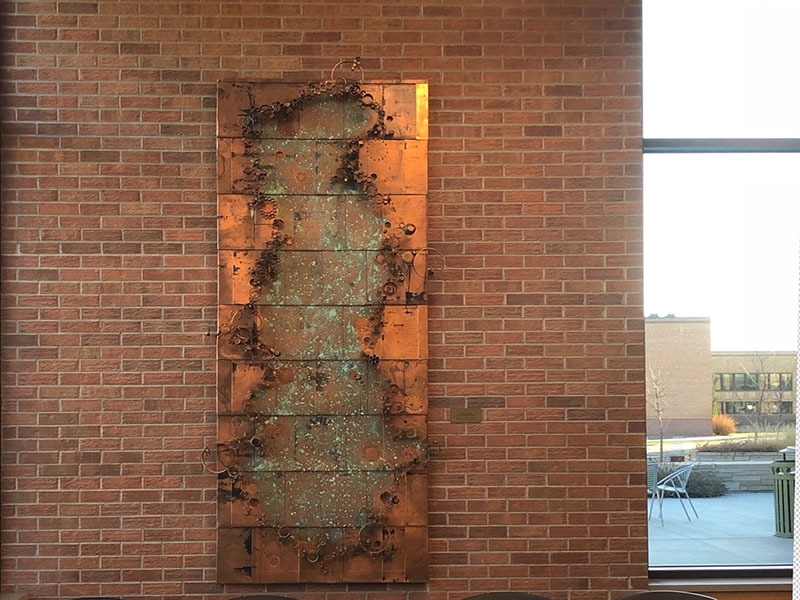 I incorporate bronze, copper, steel, cast-iron, stone, wood, and ceramics into my work. 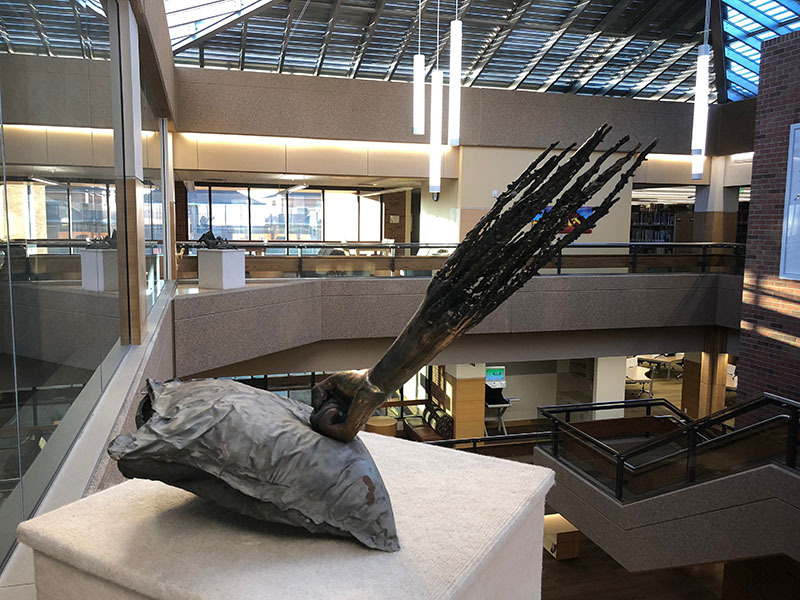 This juxtaposition of natural and manmade materials further allows my sculptures to convey the contrast and conflict of natural and manmade landscapes. I ask the viewer to explore my landscape sculptures and examine their role in nature’s landscape. 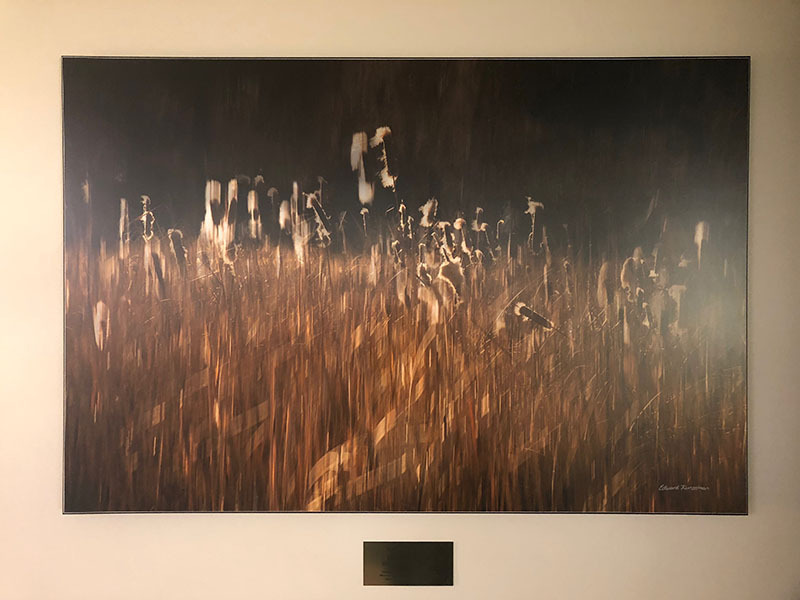 With a minimalist approach to form and a conceptual approach to process, I am lured to re-define the shape of my environment: to explore our shifting relationships with nature, the voice of the elements, the topography of technology, and the mapping of time, space, and memory. I am interested in boundaries: where they collide, where they overlap, and where they continuously link, forming connecting threads. I address boundaries of nature, technology, science, mythology, personal identity and universal connections. I seek to re-direct attention to the smaller things in life, exposing the sacred within the mundane and the monumental within the minute. 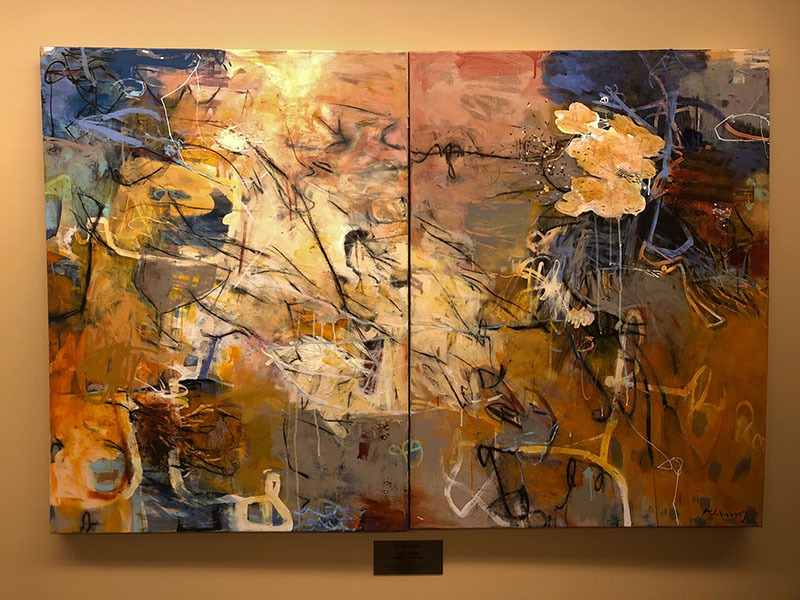 I hope to unveil inherent connections to our surroundings and with that, re-establish intrinsic relationships as thoughts and memories, experiences and environments continuously appear and reappear in overlapping fragments. 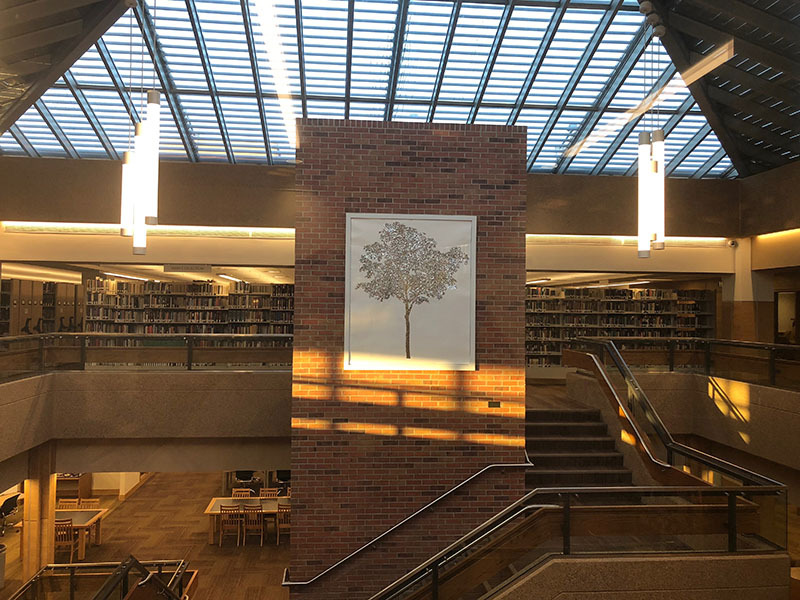 CMU Library is happy to showcase our current and rotating artworks, available for the entire community to enjoy. 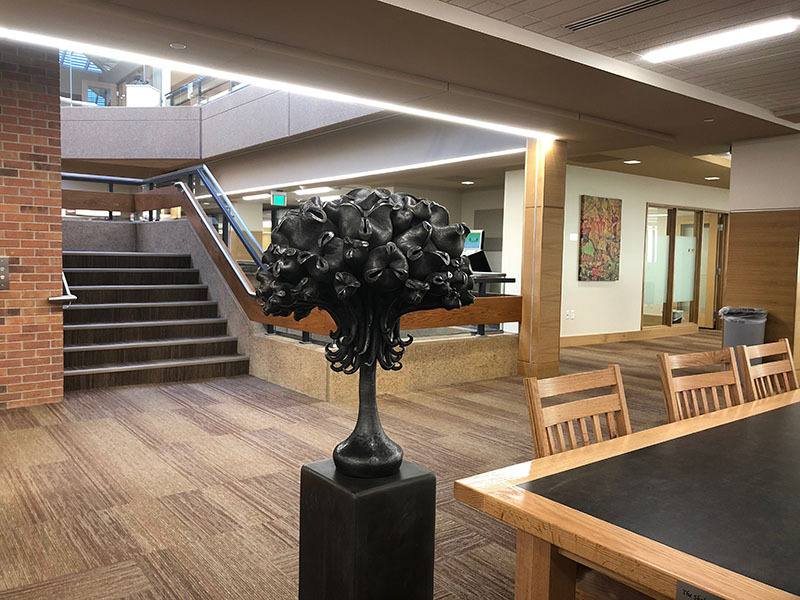 Collections include artworks commissioned for CMU and the citizens of Colorado for the Art in Public Places (AiPP) program, a rotating display of CMU 3D Student sculptures, and purchased and donated works from our permanent collection. Saturday Night at Funston, n.d.
A Head for Learning, n.d. 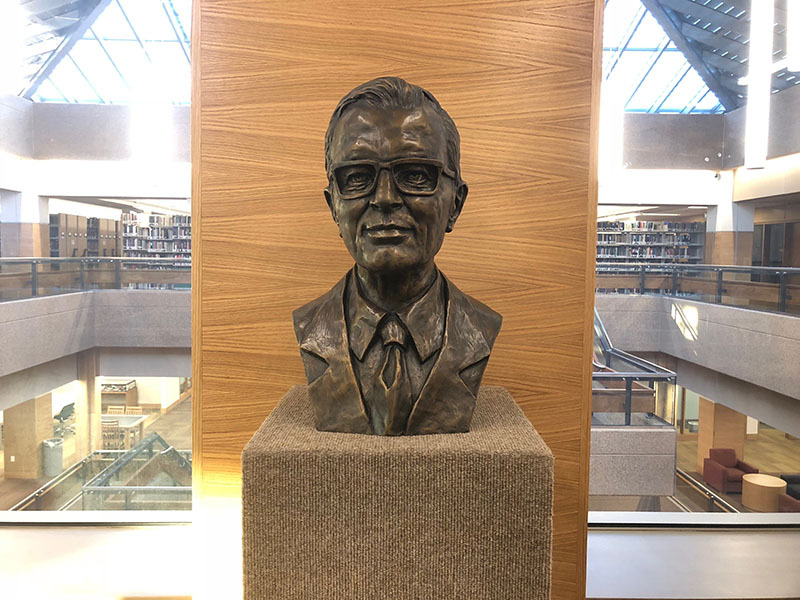 Bust of Dr. Carl R. Wahlberg, Jr.